High current fuse holders are designed to work in conjunctions with appropriately rated fuses. Fuses are safety devices used to limit the amount of current through an individual circuit branch, or to limit the amount of current delivered from a voltage source such as batteries. They will pass current below their rating under normal circumstances and open the circuit when the current rating is exceeded. Limiter fuses are nearly always installed with a protective cover to prevent accidental shorts, shield adjacent components in case of catastrophic failure and to protect users from electrical shock. The US Coast Guard requires fuse holders installed on marine vessels have a protective cover in order to comply with law. Riedon’s high current fuse holders support which types? Riedon high current fuse holders support two of the most common limiter fuses. The “forklift” or ANL type fuses are widely utilized in low voltage branch circuits of 10 to 800 amps and remain the same physical size regardless of the current rating. Although not mandatory, many of these fuses carry UL248-14 certifications. 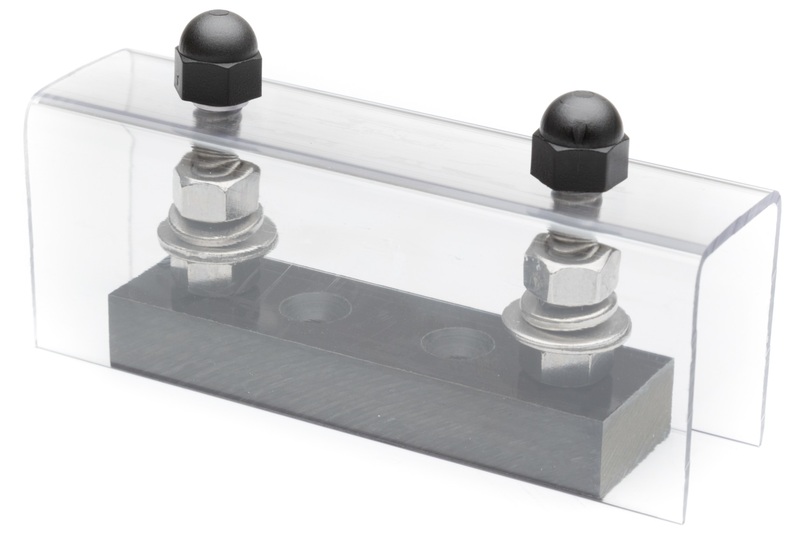 Class T fuses are specially designed to react extremely fast, protect against a minimum of 200,000 amps without violent destruction, and carry UL248-15 certification. They are available in two different sizes depending on the rated current. What applications are the most common? The most common application for class T fuses and high current fuse holders is for the protection of off-grid battery systems, often with PV or wind power to recharge them. These may be installed in recreational vehicles, boats, or even remote cabins. Although common for use in forklifts, the ANL style of fuses have been readily adopted for use as safety devices for the installation of high current accessories like strobe or spot lights, driving lights, winches, service radios, lift gates, and many other high current electrical accessories in automobiles, emergency vehicles, industrial, and construction equipment. To summarize, Riedon high current fuse holders provide a heavy-duty method of protecting high current DC circuits. There are multiple mounting and fuse configurations to fill the needs of many installations. Riedon high current fuse holders are very cost competitive in comparison to competitors that sell the fuses separately. In addition, custom design requests are always welcome.